The Awful Warning. France and England (together?). 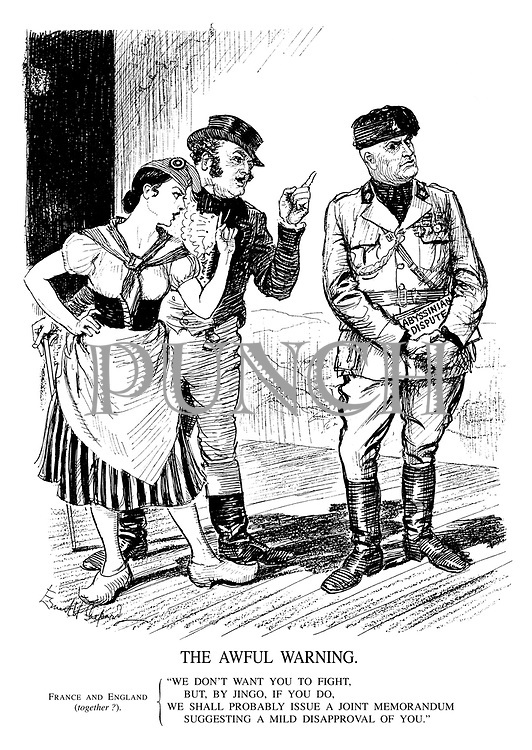 "We don't want you to fight, but, by jingo, if you do, we shall probably issue a joint memorandum suggesting a mild disapproval of you."